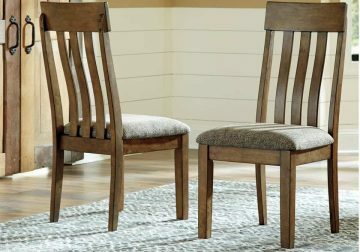 Relax seated in the casual feel of the Flaybern side chair. Solidly built, its inviting rake back with lumbar curve works with the beautifully upholstered cushion seat for dining in comfort. 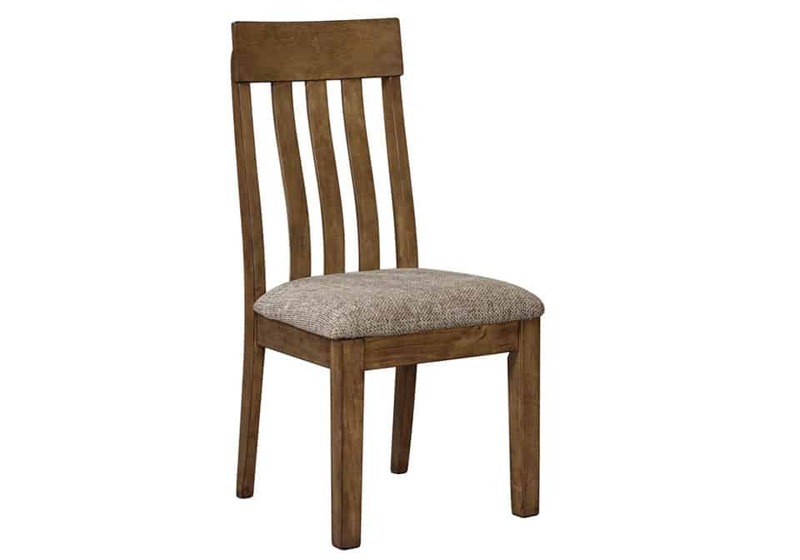 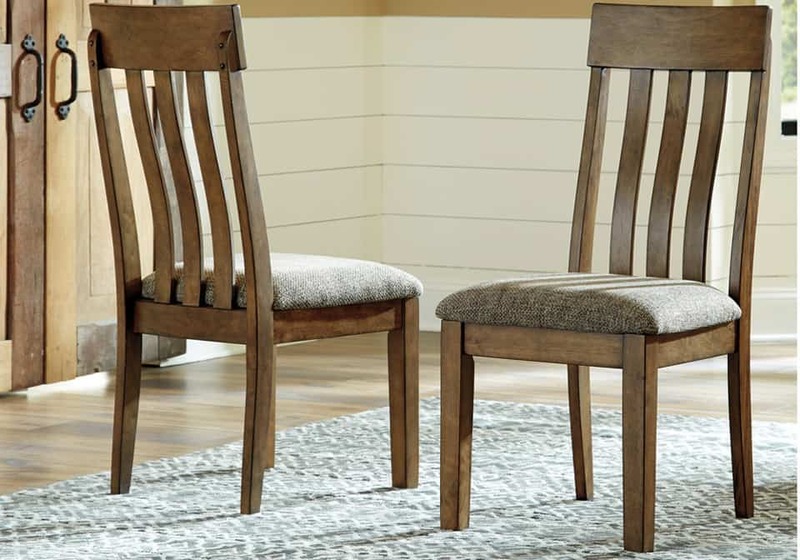 Its light brown finish with natural grain character and the textured upholstery creates a cozy look that’s sure to become an instant hit with guests—what a welcome addition to your dining repertoire.